It's that time again. It's been six months since our last survey of the neighborhood regarding the Virginia Highland Security Patrol (aka FBAC). Since that time we have made many changes and, we hope, improvements. 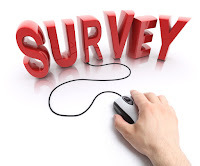 Please follow the link to this very short survey to let us know how we are doing. The feedback helps us to keep improving the service and adding new members! The survey will remain open for two weeks ending on August 26th. We will publish the results of the survey shortly thereafter. If you would like to see the results for the initial survey conducted in February, click here.